Size: H26 x W35.5 x D35.5cm approx. Crafted from zinc-plated steel, this Large Square Planter boasts unique vintage ribbed style reminiscent of traditional wash dollies and makes a wonderful addition to any style of garden. Weatherproof as well as stylish, this Square Planter comes in an assortment of sizes, perfectly designed with their clean lines to create a stunning display of shrubs, plants or flowers by the door or entranceway or on the terrace or patio. Large: H26 x W35.5 x D35.5cm approx. 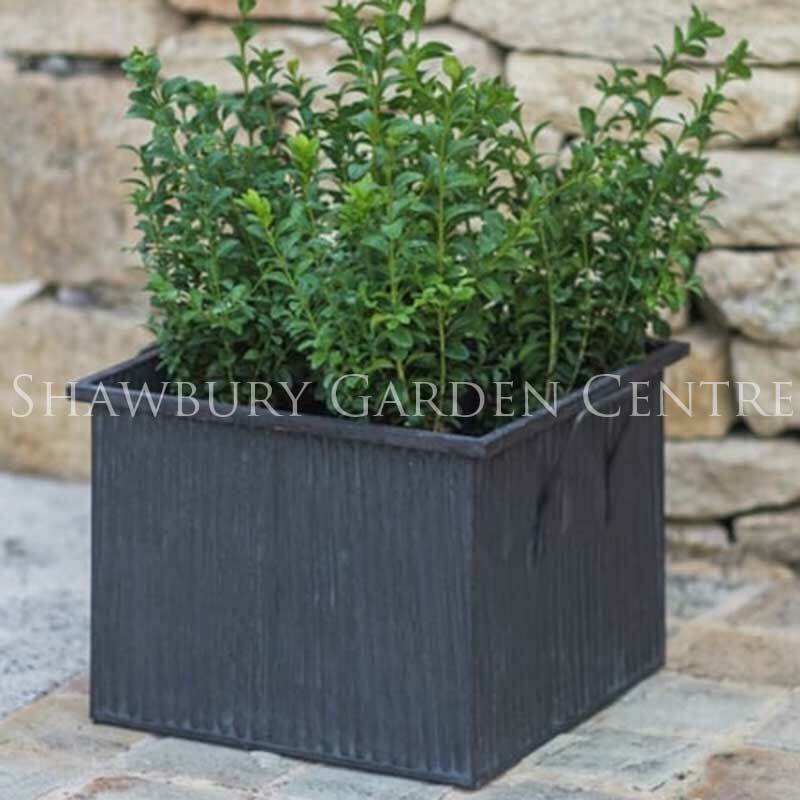 If you would like further information about Garden Trading Square Vence Planter, please contact our garden centre at Shawbury just outside Shrewsbury in Shropshire, by calling 01939 251315 or emailing.